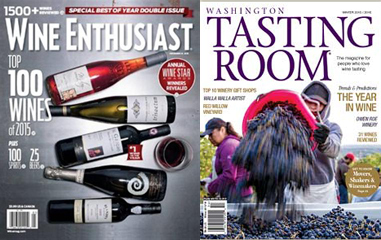 The December issue of Wine Enthusiast has an article I wrote on young, up-and-coming Washington winemakers. You can read the article here. Additionally, the Winter edition of Washington Tasting Room magazine has an article I wrote on the year in Washington wine. You can read this article here. See a complete list of print publications, most web web links, here.